Cliff Alexis, co-founder of NIU’s world-renowned steelpan studies program has passed away at 82. He was an invaluable part of the School of Music for more than 30 years even after his retirement from NIU in 2017. A Memorial Visitation will be held from 4:00 p.m. to 7:00 p.m. with a service at 7:00 p.m. Tuesday, February 5, 2019, at Anderson Funeral Home in DeKalb. Alexis was a native of Trinidad and Tobago and one of the world’s leading steelpan clinicians, tuners, arrangers and performers. In September he returned home to receive the Republic of Trinidad and Tobago’s highest honor. Alexis was born in Trinidad and Tobago in 1937 and began playing the steelpan at age fourteen in various steelbands in the nation’s capital. In 1964, he travelled to the United States on a tour as a member of the National Steelband of Trinidad and Tobago. After the tour, in 1965, Alexis decided to make the US his home where he continued to carry out his mission of promoting and educating others about the steelpan. He arranged for the BWIA Sunjets Steelband in Brooklyn, NY, and arranged and performed with his own band, the Cliff Alexis Trinidad Troubadours, throughout the US for many years. In 1973, Alexis was hired by St. Paul Public School District 625 in the state of Minnesota where he served as a steelband director and tuner for 12 years. In St. Paul, he immediately faced a unique challenge. The school owned no steel drums. Undaunted, Alexis learned to make them himself, and over time he became one of the best in the world at it. In an interview with Percussive Arts Society, he described the unique challenge of building a steel drum. In 1973, Chief Cal Stewart of the US Navy Steelband hired Alexis to tune for the band and make a complete set of instruments. After a concert the group was approached by Al O’Connor the founder of the NIU Steelband. O’Connor wanted to know who tuned their instruments. It was a conversation that changed the course of Alexis’ career and that of the NIU steelpan program. For several years, while still in Minnesota, Alexis helped build and tune instruments for the NIU program. Finally, in 1985, O’Connor convinced Alexis to join the staff at the NIU School of Music. The pair created the first-ever collegiate steelpan studies program where students could major in steelpan as a primary instrument. 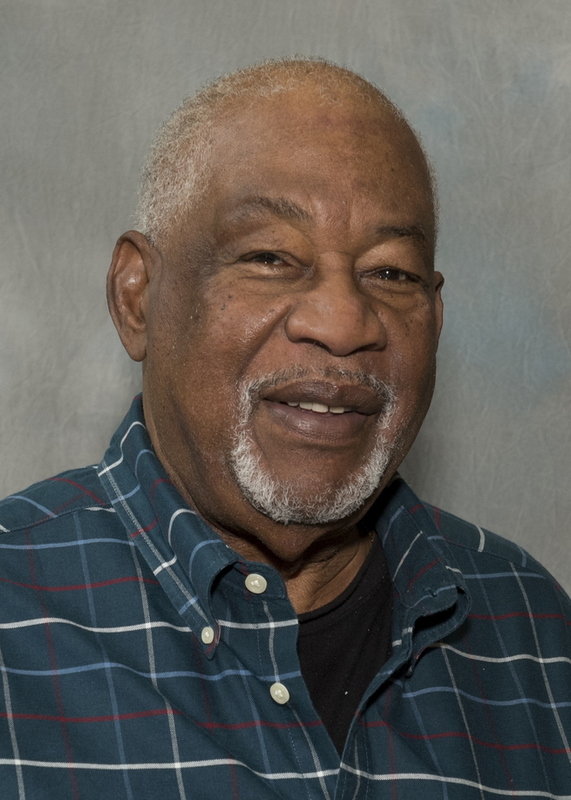 His responsibilities included maintaining and upgrading the school’s large inventory of steelpans, arranging, composing, and co-directing the NIU Steelband with O’Connor and, later, Liam Teague. Alexis was commissioned by the Percussive Arts Society (PAS) to compose and arrange all of the music for the mass steelband concert organized for the 1987 Percussive Arts Society International Convention (PASIC) in St. Louis. In 2000, Alexis composed “Pan 2000”- one of two pieces performed by the NIU Steelband at the World Steelband Music Festival in Trinidad. The ensemble achieved second place in the competition. He was the recipient of numerous awards from various institutions and professional organizations throughout the years. In November, 2013, Alexis was inducted into the Percussive Arts Society Hall of Fame and in March 2014 he was honored by Pan Trinbago in Trinidad for his distinguished service to the steelpan movement. In addition, he has been inducted into the Sunshine Hall of Fame with a Lifetime Achievement Award in 2002. In 2011, Alexis was featured in the film entitled “Hammer on Steel” produced by the University of Akron and Public Broadcasting System (PBS) earning him two Emmy nominations by the National Academy of Television Arts and Sciences for Special Event Coverage and Musical Composition/Arrangement. Alexis was also in high demand as a speaker, clinician and tuner. In May 2012, Alexis was selected to be the keynote speaker for the first International Steelpan Conference held in the Republic of Trinidad and Tobago. He lectured at the National Public Library in Trinidad, delivered the feature address at the launch of the Pan Development Fund at the Prime Minister of Trinidad and Tobago’s residence, and was a featured guest speaker at the University of Akron Steelband’s 30th Anniversary Celebration and the Silver Stars Steel Orchestra 60th Anniversary in Trinidad. Alexis was featured as a guest clinician and an adjudicator at the Annual PANorama Caribbean Festival held in Virginia in 2010, 2014, and 2016. Alexis said that he greatly cherished his time working with students as a mentor and friend and he devoted his life to the development of the steelpan.